Fifty years ago, neuroscientists thought that a mature brain was fixed like a fly in amber, unable to change. Today, we know that our brains and nervous systems change throughout our lifetimes. This concept of neuroplasticity has captured the imagination of a public eager for self-improvement -- and has inspired countless Internet entrepreneurs who peddle dubious "brain training" games and apps. 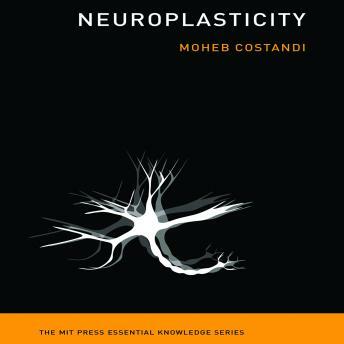 In this book, Moheb Costandi offers a concise and engaging overview of neuroplasticity for the general listener, describing how our brains change continuously in response to our actions and experiences. Costandi discusses key experimental findings, and describes how our thinking about the brain has evolved over time. He explains how the brain changes during development, and the "synaptic pruning" that takes place before brain maturity. He shows that adult brains can grow new cells (citing, among many other studies, research showing that sexually mature male canaries learn a new song every year). He describes the kind of brain training that can bring about improvement in brain function. It's not gadgets and games that promise to "rewire your brain" but such sustained cognitive tasks as learning a musical instrument or a new language. (Costandi also notes that London cabbies increase their gray matter after rigorous training in their city's complicated streets.) He tells how brains compensate after stroke or injury; describes addiction and pain as maladaptive forms of neuroplasticity; and considers brain changes that accompany childhood, adolescence, parenthood, and aging. Each of our brains is custom-built. Neuroplasticity is at the heart of what makes us human.